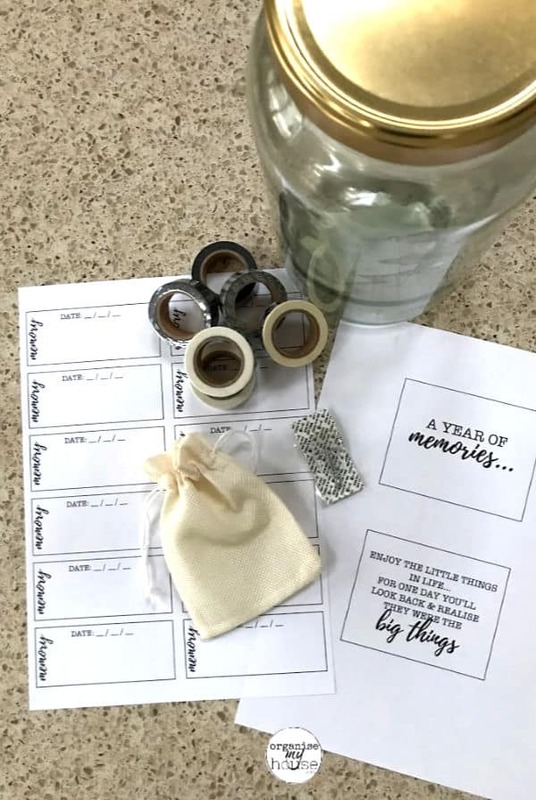 Create your very own DIY Memory Jar for the New Year, and have a simple and quick way of capturing those special little moments as they crop up throughout the year. When you get to the end of the year, you will love looking back and reminiscing (or even read them when you need a pick-me-up…). They are SO important to capture if possible because they are all too easy to forget if you don’t have a way to remember them – no matter how special a moment is. So frustrating – but so true…. #1 – PHOTO BOOK – a book that we create each year with pictures and words from the past year all collated in one easy (and not bulky!) place. It sits on our coffee table for the year, and then goes into the bookcase with all previous years. A gorgeous way to capture the year, and a great way to keep things neat and tidy and accessible. #2 – MEMORY BOX – one for each member of the family. They contain all the *stuff* that tells the story of our lives – and we try and curate them each year – removing things that aren’t as important any longer, and adding things in that are new. Such a special place to look at occasionally, and a great present to give to your children when they leave home. WHAT ABOUT CAPTURING MEMORIES AS THEY HAPPEN, THOUGH? These 2 methods of saving memories are fantastic – BUT they are more involved, and take time to produce. 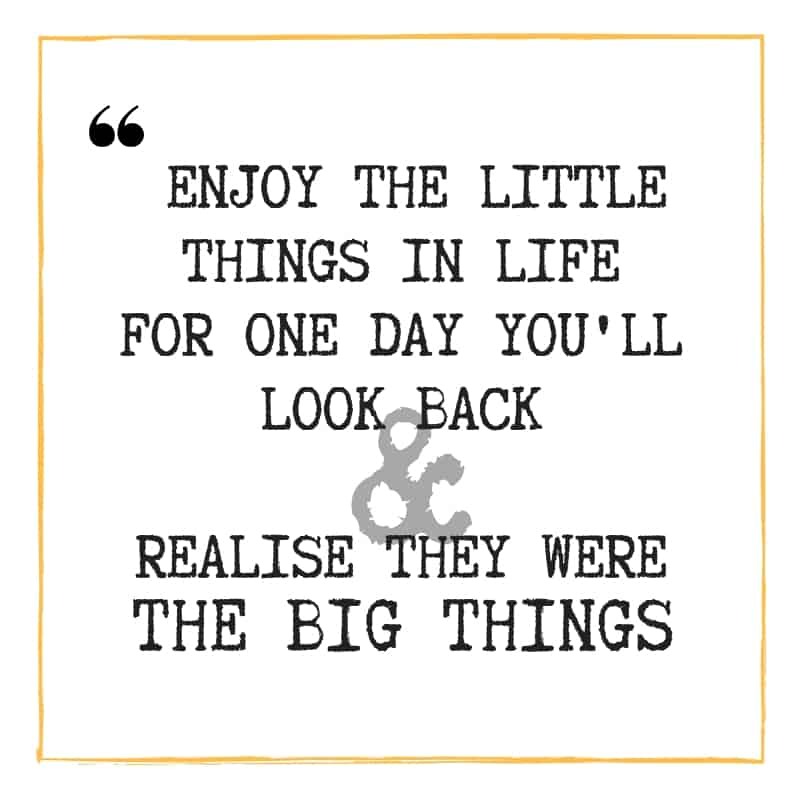 They definitely aren’t quick and easy to add to when something small happens – and the small things in life are often where the magic really happens…. So – my quest was to find a way to capture the little moments, so that we could add them to the yearbook or our memory boxes at the end of the year – or just have something to reminisce with on New Years Eve. That’s where a memory jar came in! So simple – but SO effective! 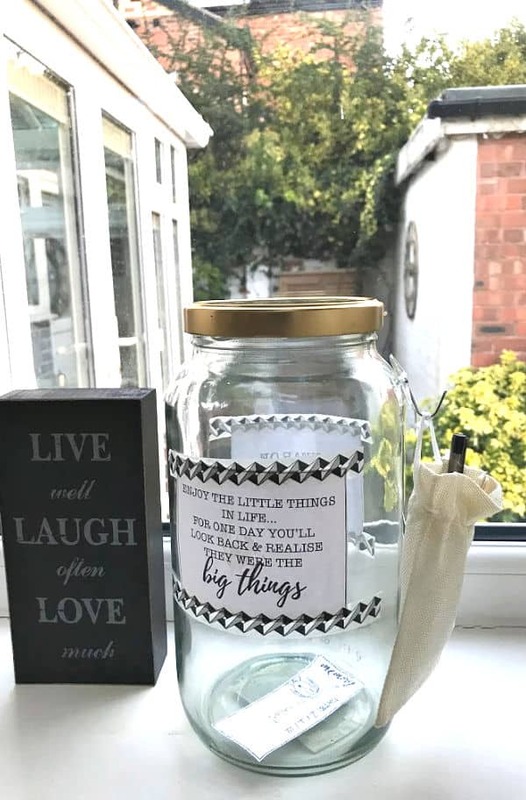 Basically – you have a jar in a place that’s easy to grab at any time of the year – and you write in anything funny / special / momentous that happens – AS IT HAPPENS. I’ve created one for my family this year, and I can’t wait to start using it! #1 – Print off the label, and attach it to the front of the jar. I use Washi Tape to fix it because I think it looks pretty** – but you can use any tape you like, of course!. TIP – Print the label off onto coloured paper to match your decor – I love the idea of using Brown Paper for this as I am an old fashioned kind of girl! #2 – Cut out small pieces of paper that fit into your small bag**. 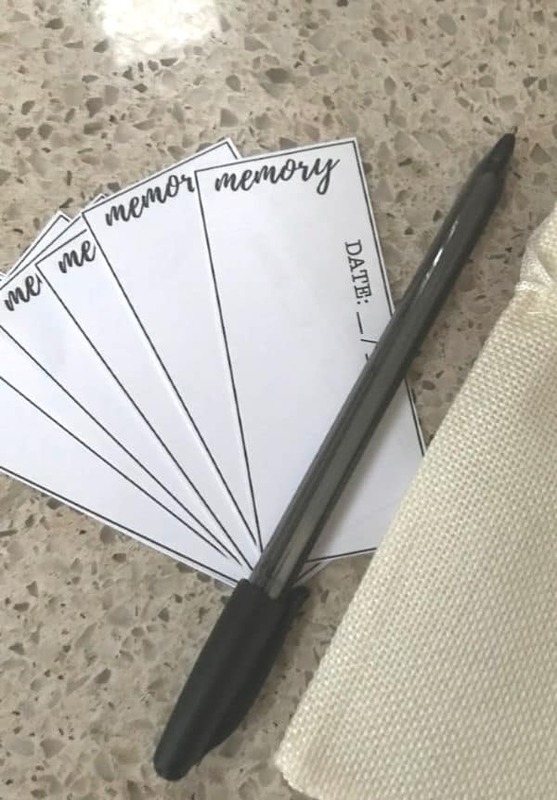 You can use the Memory Jar Printable Sheet of tokens from the Printables Library if you prefer – or plain paper works well too. #4 – Attach the bag to the jar. I use a command hook as I think this looks really smart, but you could equally use some ribbon or string. So simple, but looks great, and it will be easy to use throughout the year because you have everything you need right there. No excuses! 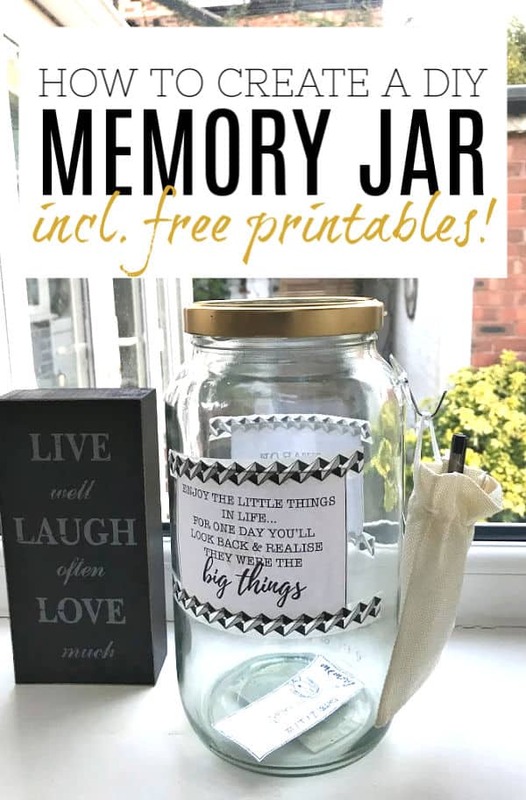 I have put our memory jar in our kitchen because this is a central place in our home and it will be in plain sight all year round – so very difficult to forget about it! When something comes up, then you can grab the pen and some paper – write it down – and add it into the jar. 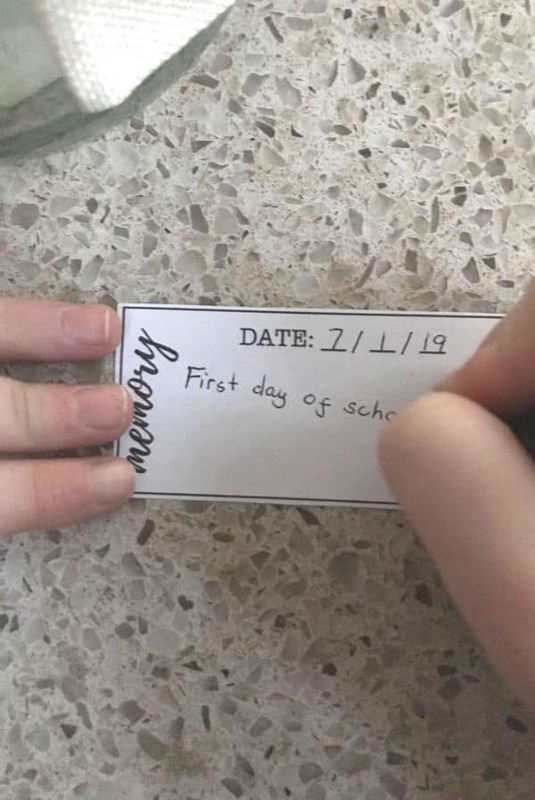 I like to write the date on them as well, so you know exactly when it happened. This is especially useful if you are planning to add any of these memories to your Photo Book, because you can add them into the right month which is always a bonus! (I take a photo of the tokens and then add them like that, which also keeps the memory jar in tact). So, you get to the end of the year – and you have some decisions to make. What do you do with the jar? 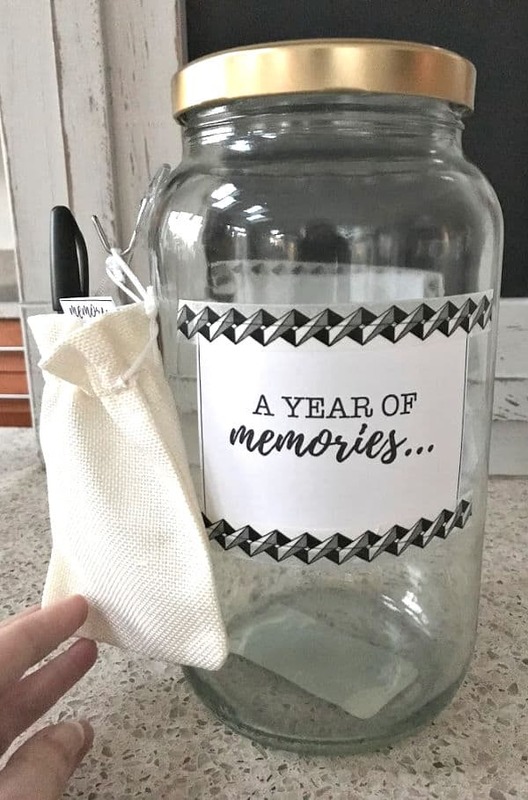 I like the idea of looking through the jar as a family at the end of the year, and talking about those special memories. We are bound to have forgotten some of them, so it will be really special to look back together. After that – I shall add some memories to our Photo Book, but then I will get rid of the contents of the jar and re-use for next year. 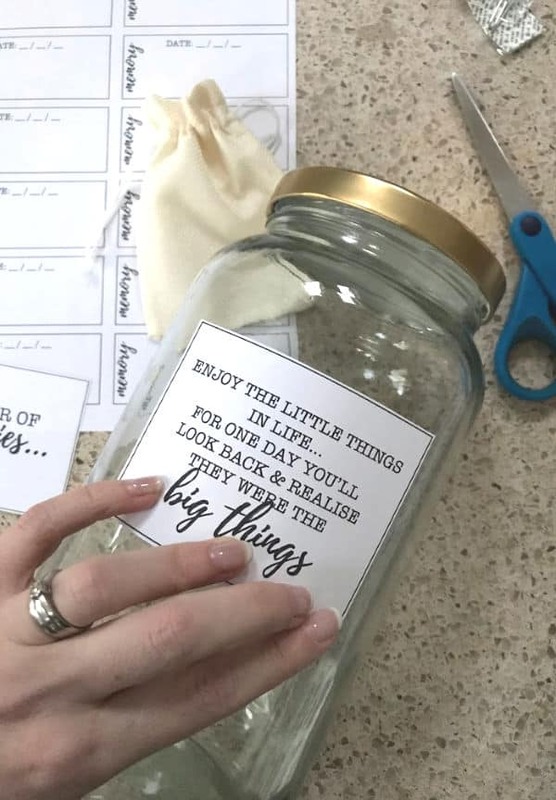 You may want to keep the contents of the jar as well, but just be careful about whether you really will read them again at any point – we don’t want to add clutter where we don’t need to! 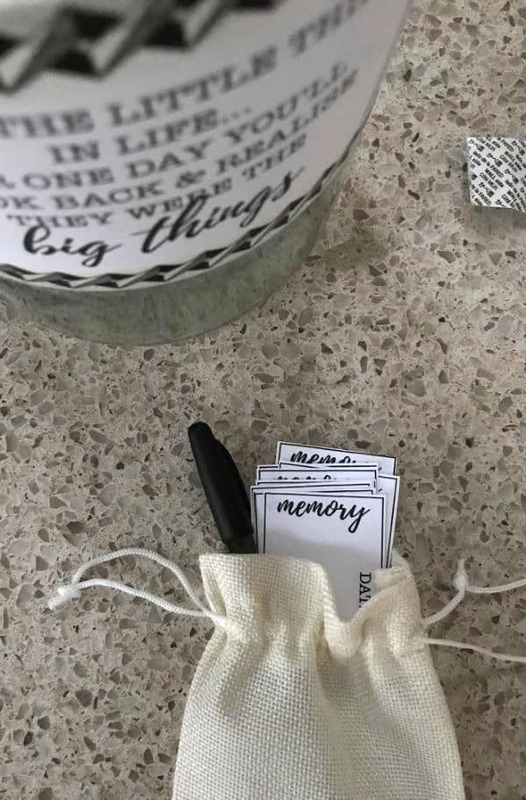 If you DO keep the memory tokens, what I would suggest doing is to hole punch them, along with a label with the year on it, and put them onto a binder ring** so they stay together neatly. 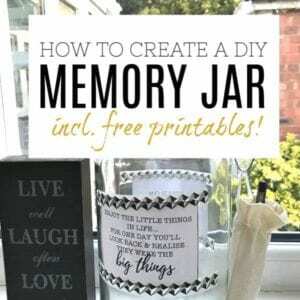 so, there you have it – a quick DIY MEMORY JAR for you to try. 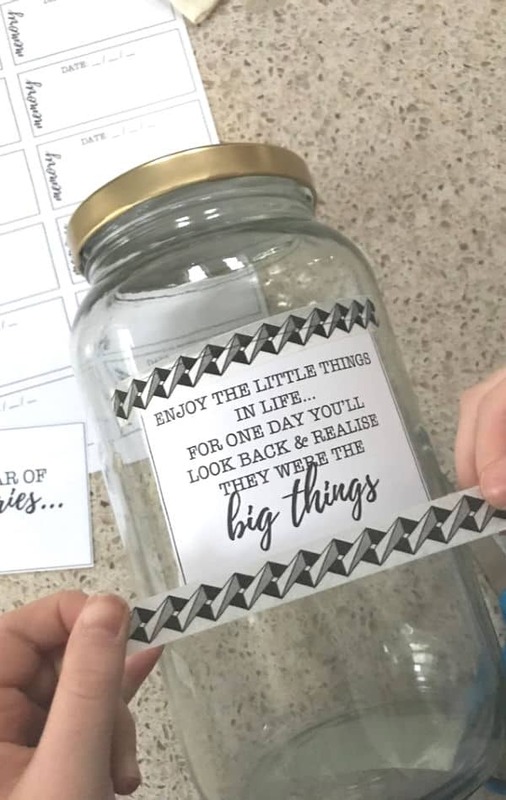 You’ll no doubt use it throughout the year, and it will create a really lovely tradition at the end of the year when you look back at what’s been added. I hope you have fun with it, and can’t wait to hear how you go! P.S. Don’t forget that adding them to your Photo Book each year is a gorgeous way of keeping those memories forever (and having a copy of your childrens writing etc…). If you want to get started on a photo book, then click on the NEXT button below and I’ll take you to the post that will help you do just that.